Jack Cooley and Josh Scott are big men who have played well in Europe and now they come on Taking The Charge. 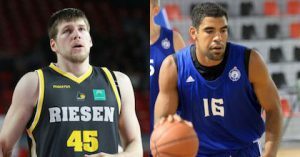 Taking The Charge Podcast Episode 221: Talking to a couple of Americans who are playing really well in Europe with the goal of getting to the NBA – or in the case of Jack Cooley of MHP RIESEN Ludwigsburg, back to the NBA. Josh Scott meanwhile has a rock solid game in Skopje. Episode 221: We start with a little bit of the NBA and also some youth hoops with the FIBA U18 Oceania Championship and FIBA U18 European Championship. And then it’s the interviews.